Sometimes it’s easy to forget the simplest way to go green: plants. But for city dwellers whose outdoor space consists of a tiny concrete slab or rooftop deck, a lush, outdoor garden seems out of the question. There are plenty of easy ways to green up even the most meager of spaces—potted plants, window boxes—but if you’re really looking to maximize your space, look skyward. That’s where South Philadelphia’s Urban Jungle comes in. The brainchild of Curt Alexander, Urban Jungle works with gardeners to maximize their vertical space, creating dynamic green gardens in spaces most people would never think of using. A California native, Alexander spent his childhood on a vineyard, showing him that plants could flourish on all sorts of vertical structures. He developed his technical know-how while studying mechanical engineering at West Point, but it wasn’t until he moved into a South Philly rowhome that the seed for this business was sown. Alexander researched vertical landscaping’s growing popularity in urban areas, and eventually linked up with Gro2, manufacturers of lightweight panels called GroWalls used for vertical installations. The panels can be mounted indoors or out and accommodate plants ranging from grasses to edible crops. Once installed, the green walls are not only visually striking, but provide benefits similar to green roofs. “[Green walls] help buildings retain storm water runoff and provide extra insulation, keeping them cooler in the summer, especially those blazing hot southern-facing walls,” explains Alexander. 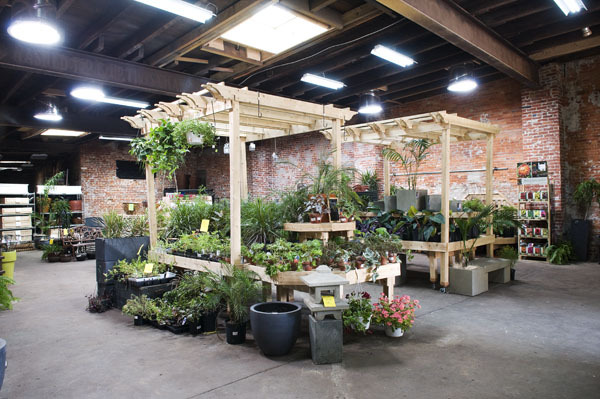 Urban Jungle’s vertical gardens can drastically alter the appearance of a home or business. And, since they’re formed using individual panels, the gardens can be as big or small as the customer wishes. So far, Alexander’s largest installation is a 20-foot-long herb garden at Le Virtu on East Passyunk Avenue. No matter what the size, the gardens are surprisingly simple to install and remove. The GroWalls rest on wall-mounted brackets that can be hung or taken down as easily as a picture frame, making them an option for renters and homeowners alike. Urban Jungle provides free consultations, working with clients to design custom gardens for any space, no matter how challenging. With their help, an urban environment is no longer an excuse for letting that green thumb lapse.